Well, it isn’t officially autumn for a couple more weeks but things in the yard and garden are beginning to show signs of change. I love September with the cooler, crisp days interspersed with warm or even hot Indian summer days. Well, definitely not those hot, humid days that fill July and August. September brings a drop in temperatures signaling the time to begin autumn garden chores. There is much happening in the garden and around the yard in September. 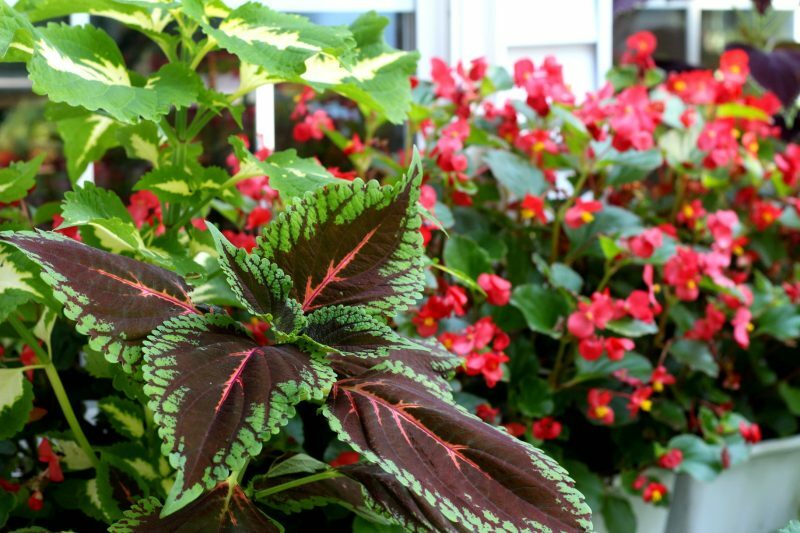 Begonia and coleus overflow in window boxes with deep, vibrant shades of red and green. 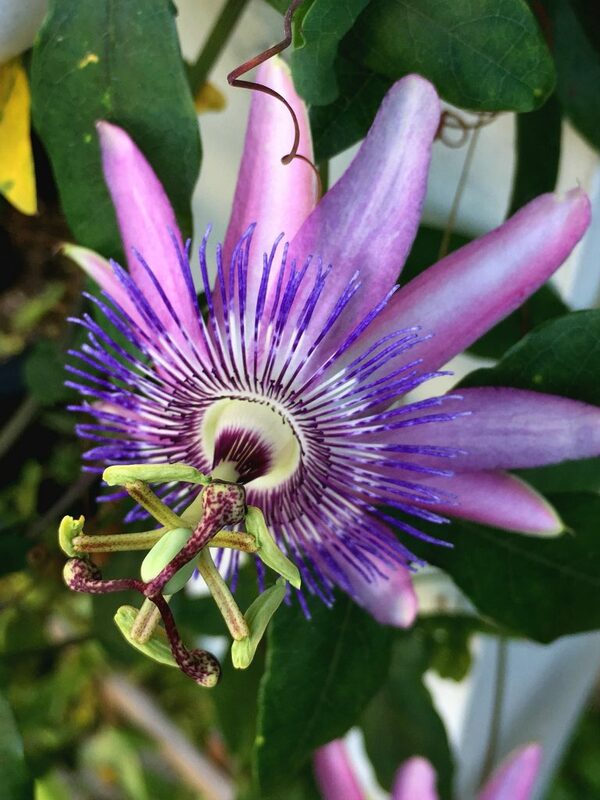 Our exotic looking passion flower vine started blooming just in late August. I purchased the plant from a garden center two years ago thinking it would not survive in our southern New Jersey zone 6B. Much to my amazement and delight, it did re-emerge late in the growing season. So happy that it was still alive I took cuttings, hoping to plant outside the following year. The cuttings rooted easily and I have two plants now that I will take cuttings from again to ensure I have more plants next year. 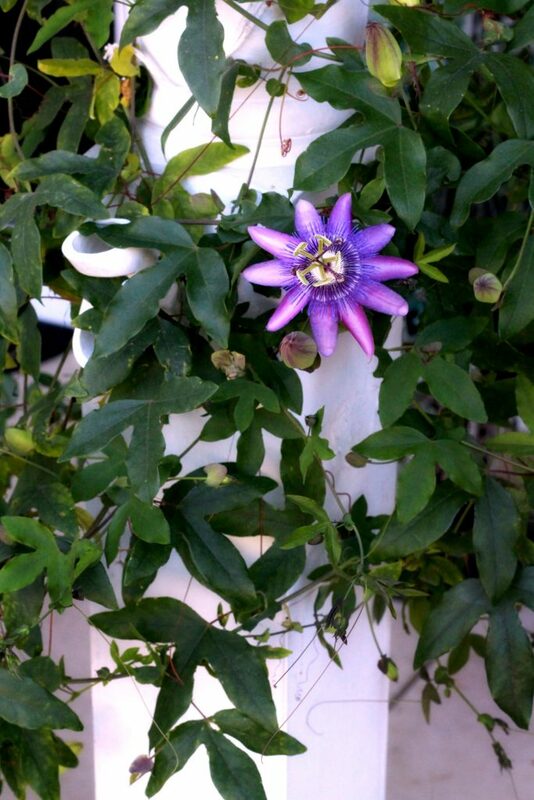 Passion flower vine has a most intricate flower. The flowers of a passion vine last just one day so I am thrilled that it is full of buds. This one is growing on our front porch. I have encouraged it to climb up a post by loosely tying pieces of string to the post and gently intertwining branches as they grows. 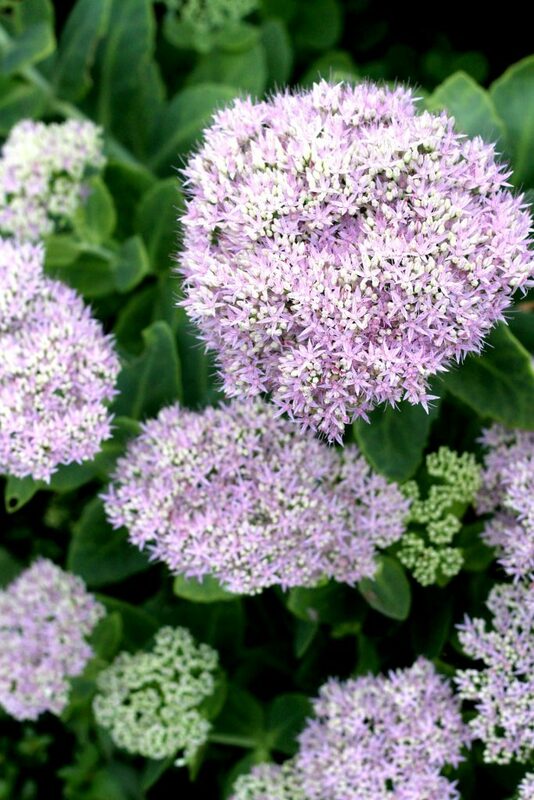 The purple flower heads on the perennial, sedum are opening and putting on a show. I find this plant attracts Monarch butterflies this time of year. The buddleia bush continues to attract swallowtail butterflies and the clematis is producing smaller, yet lovely blooms. The trumpet vine is still blooming and we are still seeing hummingbirds at the bush and feeders. The zinnias are waning but there are still a few flowers. The begonia filling the window boxes will continue through the first hard frost. Early autumn is a great time to get started on yard chores before the big jobs like raking begins and stacking wood for the fireplace stove. This is the time to divide and reset perennials. Not only do perennials need division for better blooming and health, but it is a great way to increase your plants for FREE. 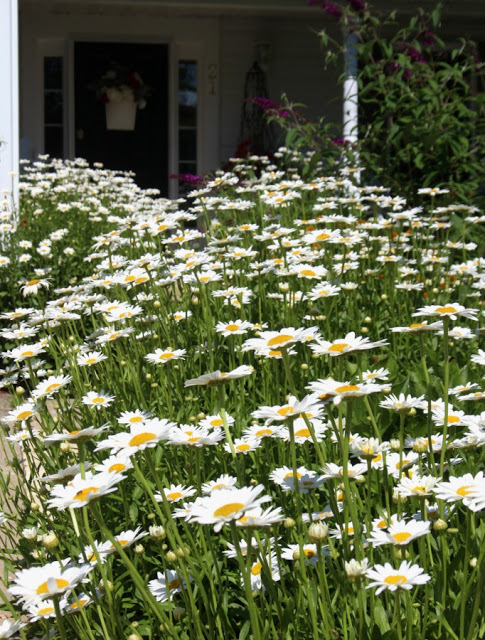 You can read about how I got a walkway of cheerful flowers from just one plant by clicking Shasta Daisies and Free Printable Gift Tags. Other plants such as iris, dianthus, and primrose can be divided in the fall. Later bloomers that can also be divided include black-eyed Susans, geraniums, daylilies, hostas, coneflowers, and yarrows. Early autumn is a good time to order and plant bulbs. It is so exciting to see the shoots begin emerging the following spring. Last fall I planted tulip bulbs in planters on our front porch. 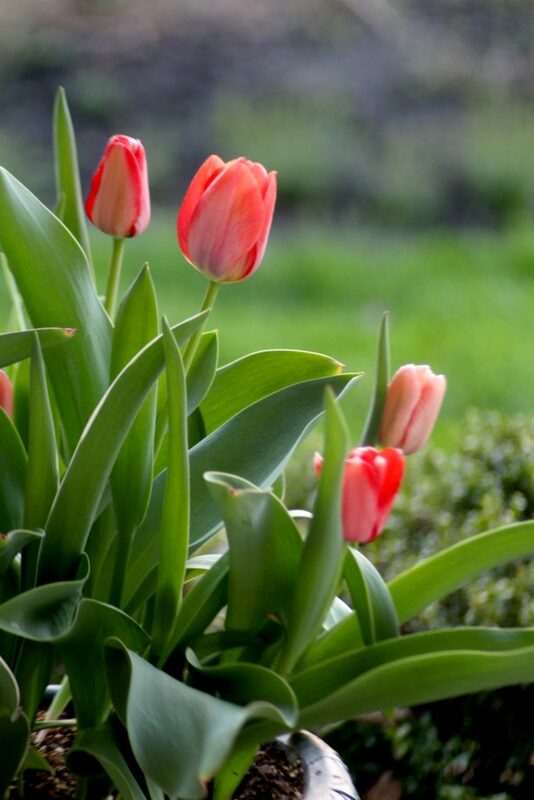 Bulbs need to winter over and will send up shoots when the soil warms in the spring. You will want to get them planted in the fall. If you have a vegetable or herb garden, harvest these as they are ready. 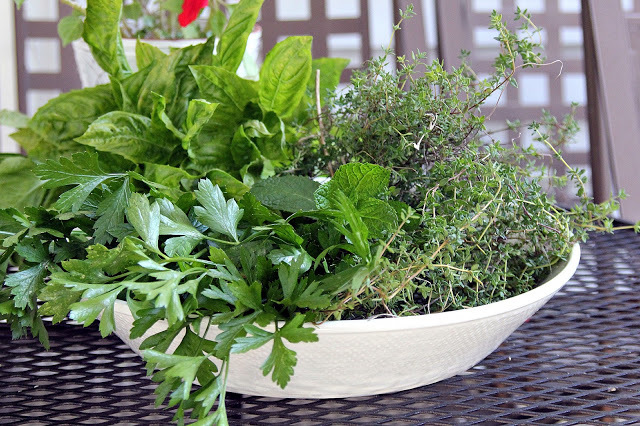 Check out this post about Harvesting and storing herbs. There really isn’t anything like fresh herbs but through the winter, dried and preserved herbs can be a good substitute. If you can find a sunny window in your home, you can take cuttings from some of your plants that will not survive the winter. Place the cuttings in a jar of water. Once the cuttings develop roots, pot them up in soil and place where they will get the brightest light. Plants with woody stems can be difficult to propagate in this way but I have had some luck when cutting the plants just before the woody part. It never hurts to give it a try. Other plants are very easy to root. Mint and basil are good examples and are wonderful herbs to flavor many dishes. Grow mint and basil on your kitchen window sill so they are close by as you cook. The herb rosemary roots easily too. 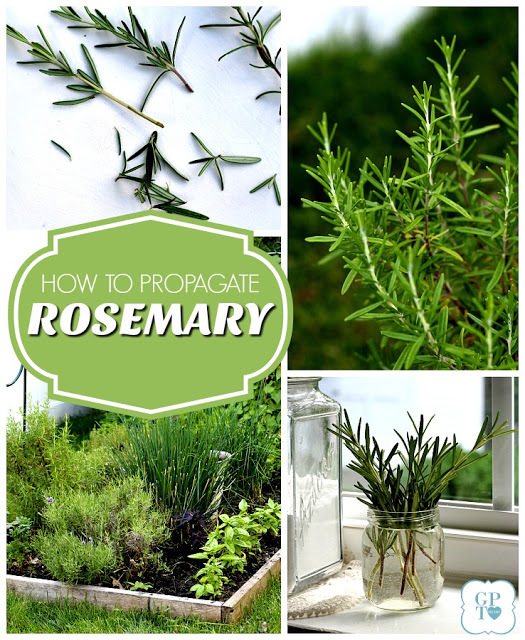 Learn how to by clicking How to propagate rosemary. 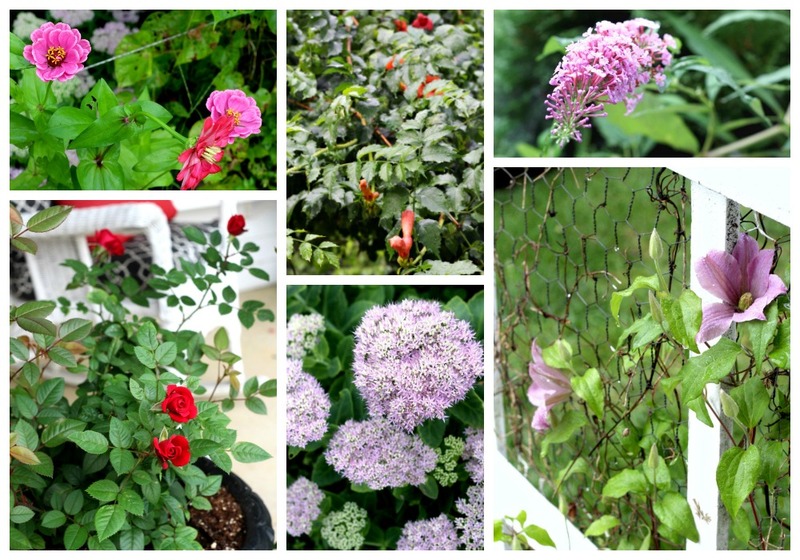 Prepare houseplants that have summered outdoors. Many houseplants benefit from spending time outside enjoying the warmth and bright sunshine. When it is time to bring them back inside you will want to be sure you aren’t bringing in any pests or other creatures. Re-pot into clean containers with fresh soil, cutting back as needed. Lorraine, your photos are outstanding! Loved your header also. I appreciated your c omments about eye problems over on my blog. Getting older is not fun! Your blog is beautiful, I must come back soon. Your garden is beautiful. Yes, Fall is the time to do the work that is needed to make next year’s gardens look great. We have a lot of work to do in our yard but it’s worth it. When all is said and done we are the ones who reap the benefits of the work when the blooms come out next year! All your plants looks o healthy and beautiful, Lorraine. 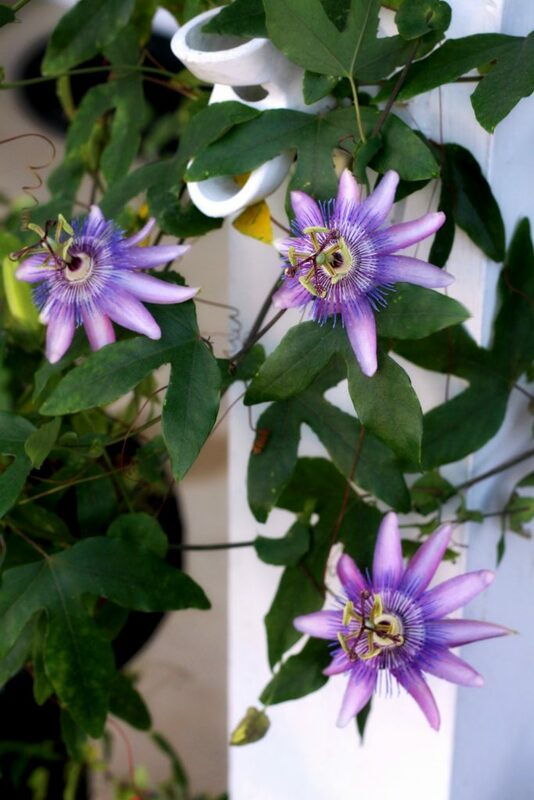 How wonderful to have your passion vine come back in your area. 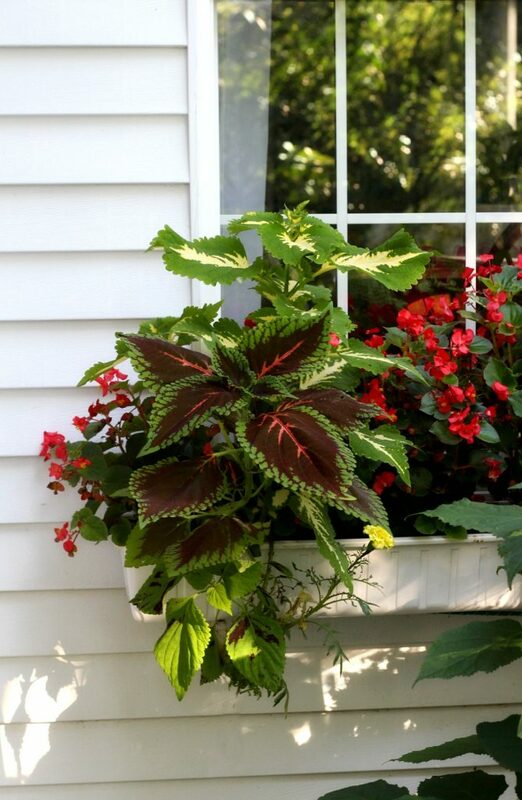 I must remember to plant coleus in my window boxes. Come to think about it, I did, in one, and something ate it! Thank you for visiting my blog. I appreciate it! 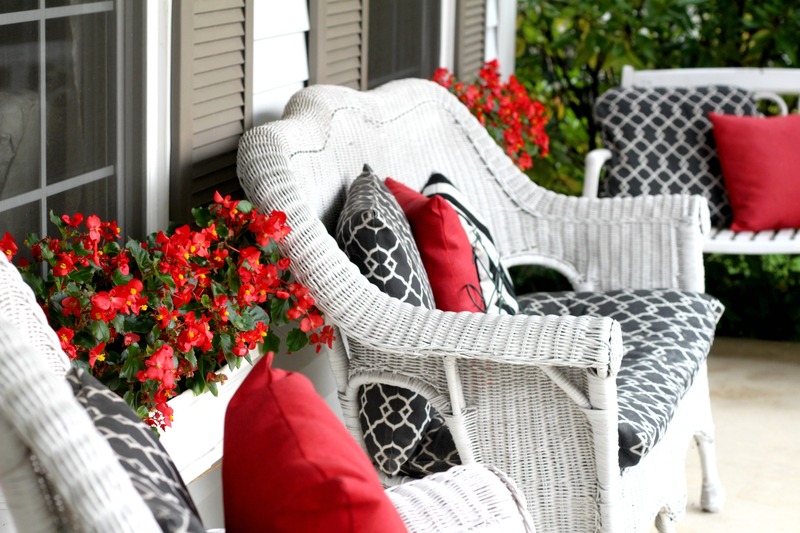 You have beautiful flowers and you arrange them so well with your yard furniture–so pretty!